What is feminism, anyway? 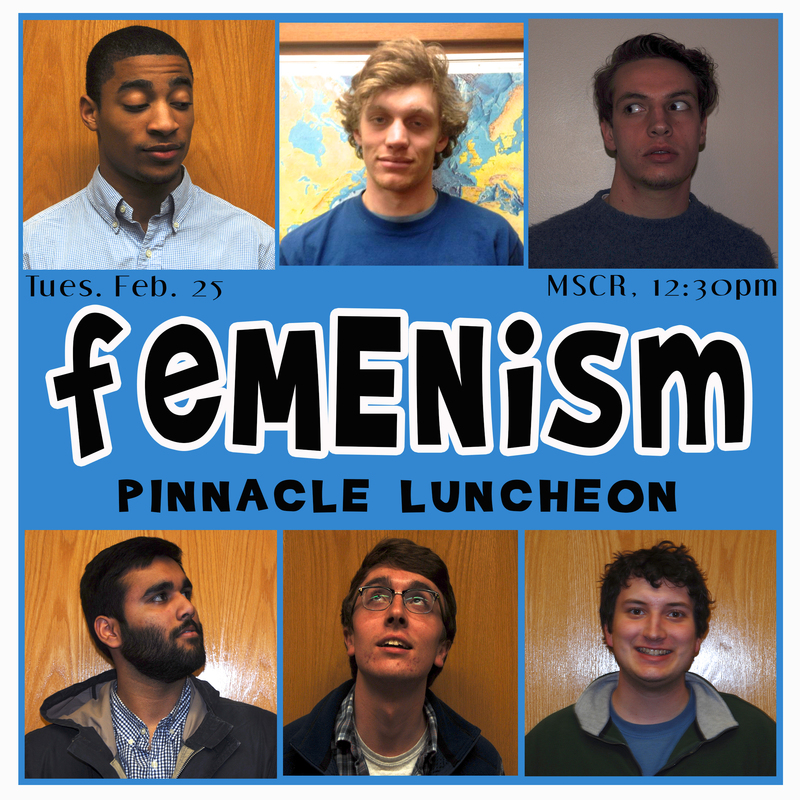 It means something different to everyone, and on Feb. 25, six brave Sewanee men shared their personal definitions at the second annual FeMENism pinnacle luncheon hosted by the Bairnwick Women’s Center. The Mary Sue Cushman room was packed nearly to capacity to hear Fleming Beaver (C’15), Aaron Browning (C’14), Birpartap Singh (C’15), Cullen Mitchell (C’16), Jewlz Davis (C’16), and Will Copeland (C’14) speak about the role of feminism in their lives. While some of these men may have never even heard the word “feminism” before coming to Sewanee, all of them have a firm grasp on what it means. The panelists all talked about love and acceptance, which was incredibly refreshing to hear, considering so many men consider feminism to be synonymous with man-hating. The fact of the matter,however, is that feminism does not mean misandry. Feminism is about respect, and not just for women. Feminism means caring about your fellow (wo)man and treating others as you would expect to be treated in return. The fact that five of these men identify as feminists is so significant, because it only takes a few brave souls to begin to redefine how the public views a certain issue. As a feminist myself, it restored my faith in the Sewanee community to hear men speak so openly and proudly about something I care so deeply for. Feminism is an issue that affects us all, whether we realize it or not. What Sewanee needs right now is a healthy dose of respect, and it is students like the feMENists who will help the community accomplish that goal.